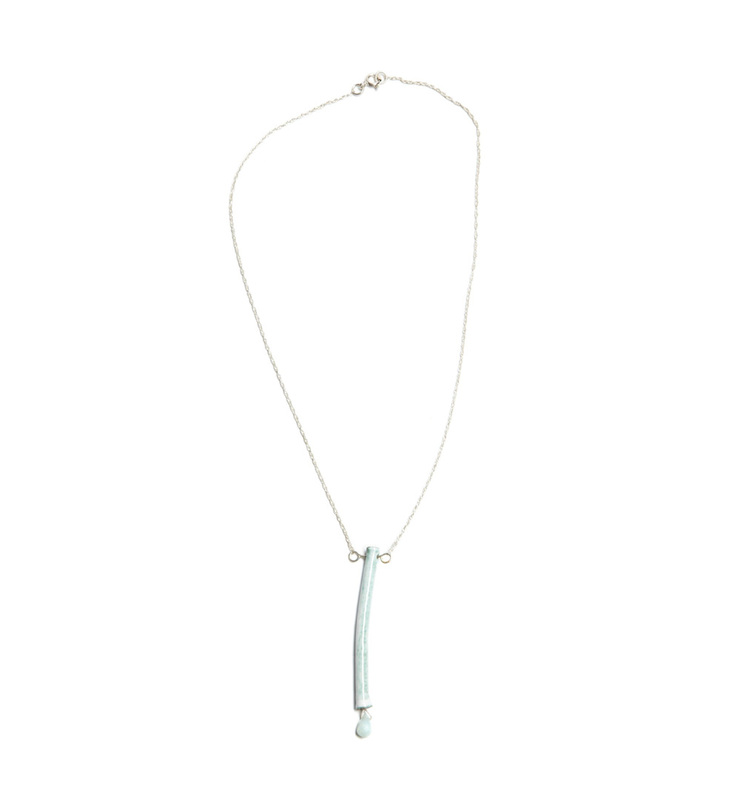 The enamel drop necklace is comprised of a 4mm diameter, slightly misshapen, copper tube over-fired with white enamel to bring out hints of the palest green. Hanging out the bottom of this 2″ long tube is a tiny, faceted, amazonite briolette. 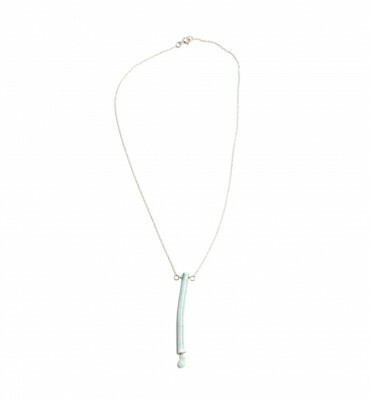 The tube is suspended from an 18″ sterling silver chain.